To Shred or Not to Shred: What Documents Should I Keep? When you set out to shred an important document, you want it to be done right. Secure paper shredding ensures that you protect your customers' information while following federal laws regarding the disposal of sensitive information. Despite the importance of this process, top executives from 300 companies ranked security of company records among the top five critical issues facing their business. Guarantee that your company properly disposes of its sensitive documents by avoiding these common shredding mistakes. Not all shredders are made equal. While the average store-bought office shredder can effectively shred the occasional document, it is not a secure or efficient solution for large-scale document destruction. You need to remove staples and paperclips from all documents and empty the shredding receptacle often with this type of shredder. In comparison, an industrial office shredder can streamline your paper disposal process as well as protect the sensitive information on documents. These high capacity paper shredders are designed to handle a large number of private documents. More importantly, high security paper shredders ensure that your document disposal is in line with federal regulations, while average office shredders will not. When your company has a records retention policy in place, you can significantly reduce your company's chances of experiencing a data breach. 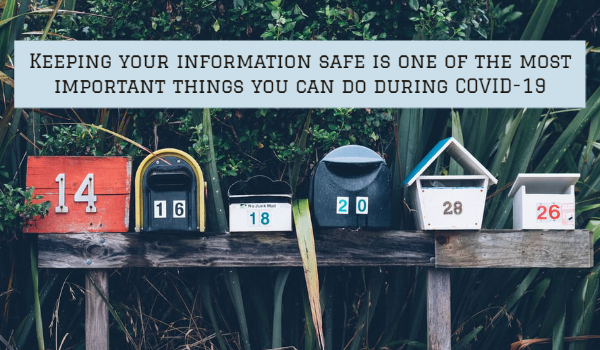 The policy defines how long your business will store confidential records and documents, setting a standard for the disposal of sensitive records under any employee's care. A major document security mistake comes when your company has a retention policy in place but doesn't follow it. Keeping confidential files after the length of time for which they are needed is neither an economically sound practice nor a secure paper shredding practice. From a legal and regulatory standpoint, old records can be considered discoverable. To properly comply with state and federal privacy laws, your company needs a verifiable document destruction process. This type of process will help you prove compliance with these security regulations. While this regulation may not seem like it is a major threat to your business, a regulator or auditor can show up at the doors of your business at any time. When they show up, they will be looking for proof of your company's compliance with any applicable laws. When you have an industrial shredder machine to show them, you will be able to easily prove your company's compliance. Ensuring secure paper shredding is a security practice as important as any other in your business. Protect your customers and your company by putting these important measures in place as soon as possible.